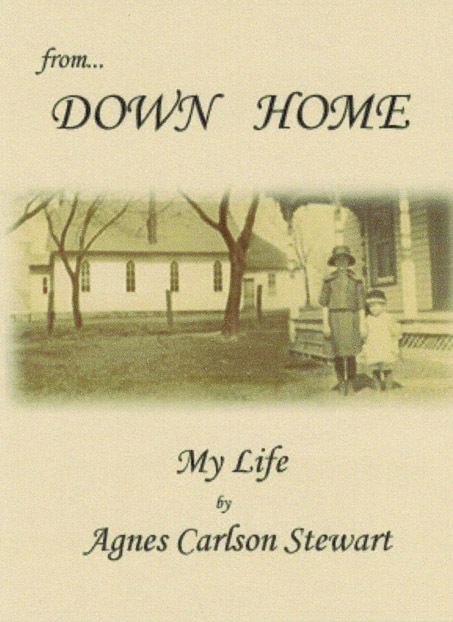 Agnes Carlson Stewart who died in 2006 published a book of her families coal mining history called “Down Home”. Prior to writing that book she wrote a story that she called “The Early Years”. A copy of that story was amongst my dads, Ray Peterson, files he kept regarding his growing up in the Buxton coal mining camp. After discovering her story, I was attracted to the Carlson family since she mentions her great grandparents as being, Adolph and Anna Nylander, who are also my great grandparents. They were the parents of my grandmother, Emma (Nylander) Peterson. I am not sure how we are related, but my thoughts are that relationship evolved prior to the families immigrating to America from Sweden in the late 19th Century. home until his death around 2012. It was "Down Home"
The Carlson family in Buxton continues to this day as they farm much of the land that once was Buxton. 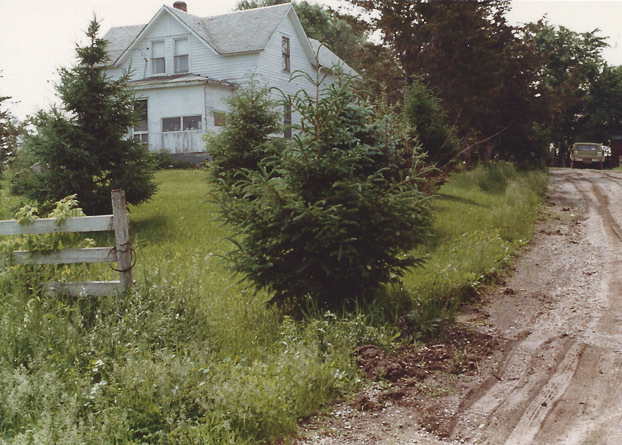 The Carlson “Down Home” house still stands at the North entrance (102nd Lane and 340th St.) to where Buxton was located, a coal mining camp that numbered in the thousands of miners and their families. The number mentioned varies from 5,000 to 10,000 inhabitants. Buxton was at that time one of the largest communities in Iowa. The land that once was Buxton now inhabits less than a dozen individuals! 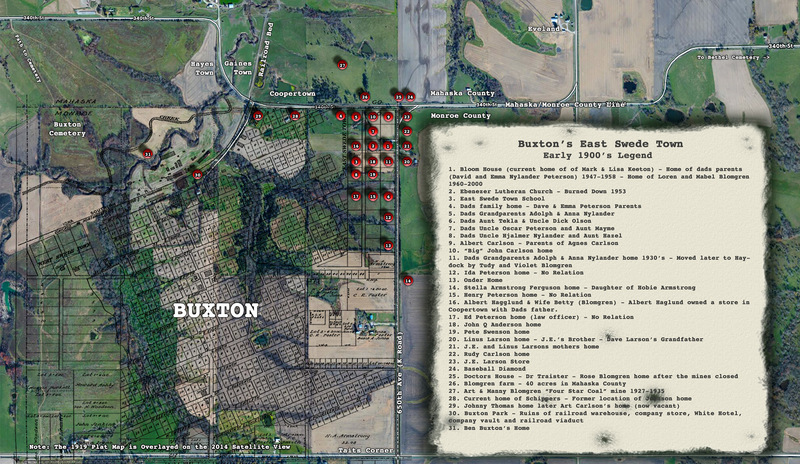 The one square mile of land that was Buxton is now primarily agricultural fields. The cover of Agnes Carlson Stewart’s book, "Down Home". East Swede Town. The photo is looking north/northeast. 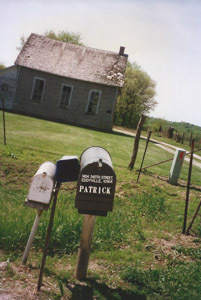 Agnes’s brother,Art, lived in the “Down Home” house until his death in 2012. Since Art’s death, the house stands vacant and overgrown with vegetation. The Charlie Bloom house that is the current home of Mark and Liza Keeton and the Carlson “Down Home” house continue to be the only remaining homes of the nearly 2,000 homes that once existed in the Buxton coal mining camp. Agnes’s nephew, Jim Keegel, is the son of her sister, Ruth. 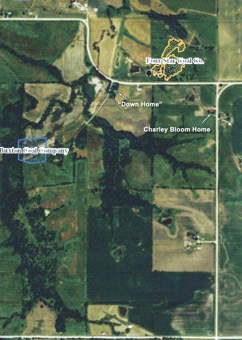 Jim owns and farms much of the land that once was Buxton. 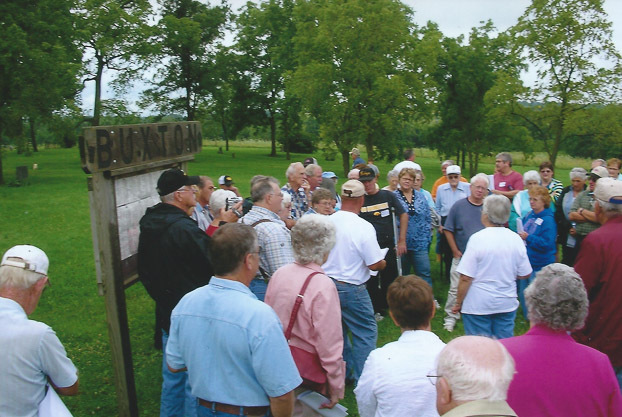 Jim leased a small portion of that land to the Monroe County Historical Society. 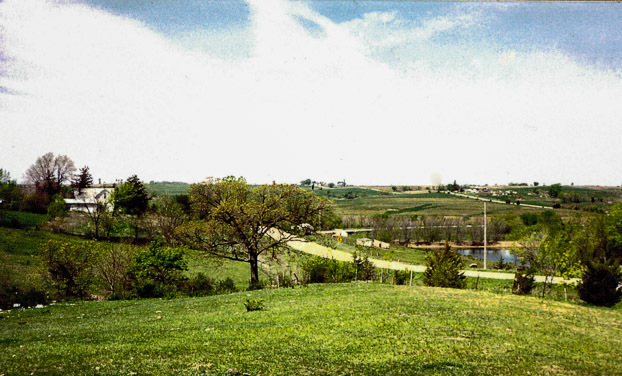 The leased land includes the ruins of what was Buxton’s Down Town, what I like to call Buxton Park. 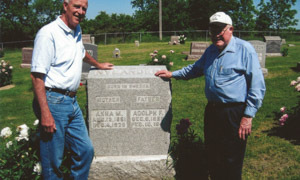 Agnes who lost her father when slate fell on him in a mine accident is forever connected to Iowa’s coal mining history. 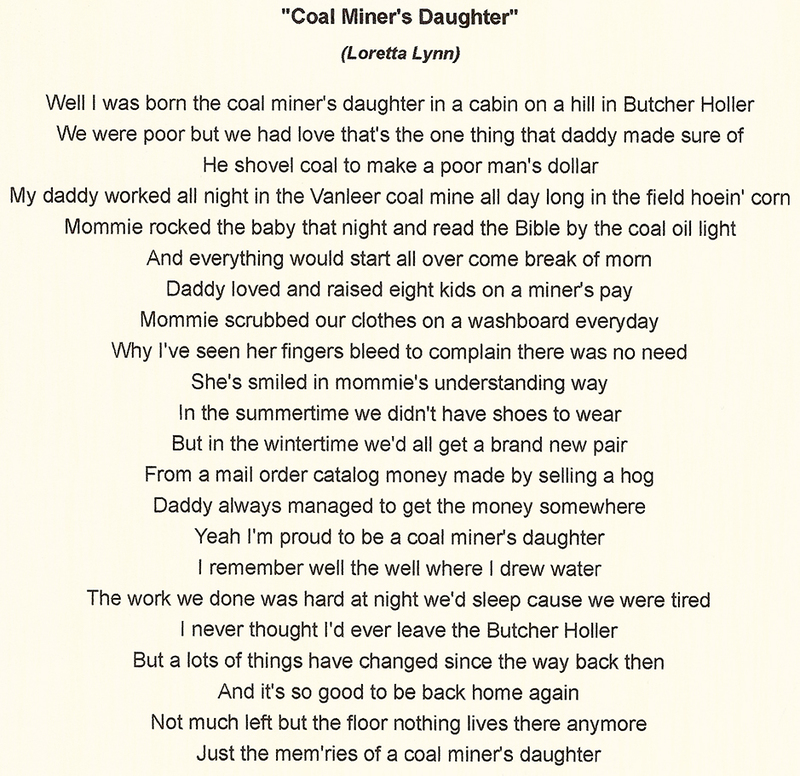 Agnes Carlson Stewart, a coal miner’s daughter, her story: “The Early Years”. My parents were born in Stockholm, Sweden. 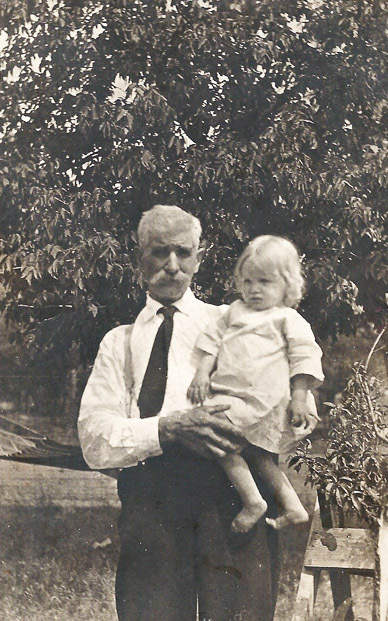 My father Warner Matthew Anderson, was born September 7, 1886. Dad was of five sons born to Carl and Emma Anderson. My father took the name of Carlson when he came to America. He took his father’s first name and added son to it, this was the custom of the Swedish culture. 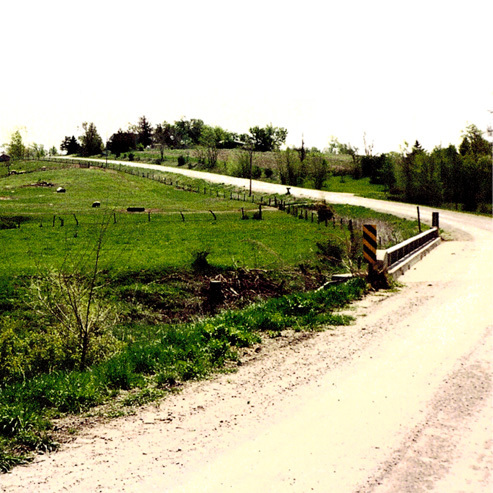 (650th Ave.) and the County Line Road (340th St.). My mother, Anna Marie Nelson, was born January 25, 1886 to Carl and Christina Nelson. To the best of my knowledge, my parents came to America in 1904. They came over on a ship which docked in New York City. I have no knowledge regarding why or how they came to settle in Southern Iowa. My father’s four brothers remained in Sweden where they married and raised their families. Mom’s sister, Clara, remained in Sweden but her brother, Algot, came to America at a later date. He settled in Iowa and married Freda Swanson from Lovilia. They moved to Montana soon after they were married, they were the parents of four children, Carl and Anna, who are deceased, Hans and Evelyn. Hans and his wife came to visit us in 2001 and I keep in touch with my cousin, Evelyn. School in the background. From the left, James L. Chalmers. Fred Paris,Clyde and Bobbi Haning. The home of John Q.
picture he has seen of the school. Mom’s uncle and his wife also made the trip to America. Their name was Alfredson but changed to Peterson after arriving in America. They settled not far from our home in Buxton’s East Swede Town. Their children were Elvera, John, David, and Frank. John and David died at and early age and are buried at Bethel cemetery. Neither Elvera or Frank married. They moved to Melcher, Iowa where Frank worked in the mines. Elvera and Frank spent a lot of time with our family. I have many good memories of the things we did together. Elvera spent some time in a Knoxville nursing home in Knoxville before her death. Frank passed away after he retired. 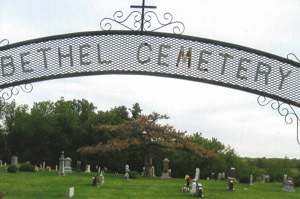 They are buried at the Melcher-Dallas cemetery. Mom and Dad were married in July of 1909 in Albia, Iowa. They settled south of Albia in Hocking where Dad worked in the coal mines. They lived in a boarding house and Mom cooked meals for the miners. Later they moved to the North-East section of Buxton, Iowa which was called East Swede Town. The people in this community were mainly Swedes. There were many black people living in Buxton. Our home in East Swede Town was not far from what is now the K-road. The Swedish Lutheran church was a few houses west of us. 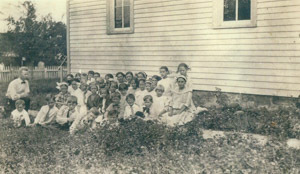 A school house was next to the church. I remember Margaret and Signe attending this school. They were taught lessons in Swedish as well as English. I still have some of Margaret’s Swedish school books. Signe Marie and Margaret, sisters of Agnes, are in the photo. 14 years old from blood poisoning after stepping on a rusty nail. Linus and Clara Larson lived across the road east of us. This is where their children, Lennart, Wilma, and Thyra were raised. Emanual and Tillie Blomgren lived north of us. 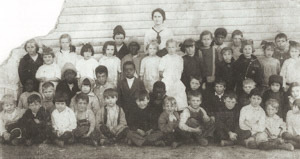 Born to them were eight children: Wilmer, John, Robert, Melvin, Mabel, Josephine, Joe, and Loren. Emanual had three brothers: Carl Art, and Tudy. Rosie, Betty, Mary, and Esther were his sisters. Charlie Blooms were our neighbors to the south. They had three daughters: Anna, Agnes, and Iris. I remember we walked through their yard on our way to Sunday school. Wilma and Lennart Larson, Blomgrens and the Olsons, attended this church also. Several of us kids were baptized at this Lutheran church. Rosie Blomgren played the organ and was our Sunday school teacher. I remember going to and participating in the Christmas programs at the church and school. Onders lived across the K-road from Stella Armstrong Ferguson. Everyone called her “Aunt Stell”. She always wore a hat and in later years I remember her driving a light gray Oldsmobile…usually right down the middle of the road. 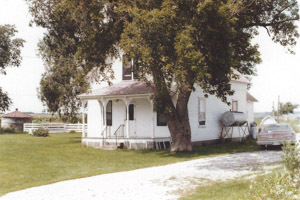 Garfield school house was south and East of Aunt Stells. Donald Plum and Mark Simms both taught at this school. I can remember baseball games being played across the road form Aunt Stell’s house. In 1923 most of the mines were closing in Buxton and many people moved on to find work. Dad still worked in the Buxton mine and in 1924 we moved about a mile north and west to Buxton. This house was on the north side of the road at the top of Cooper Hill. It had five rooms and a large back porch with a bannister on two sides. This porch was high off the ground and had storage under one end. We burned coal for heat and used kerosene lamps for light. It was us kids’ job to refill the lamps and clean the flues each day. Our house was owned by a black couple, who also owned a smaller white house behind us, where an old man lived. Farther north back in the woods was a black family who had several children. I remember playing in the woods with them. Our house was surrounded by trees and had a small creek between it and the road. Peterson) and daughter of Anna and Adolph (Fred) Nylander. We always had a large garden and raised most of our food. I remember helping our landlord pick navy beans and they gave me some to take home. Arthur and Ruth were the only children born in this house. When Art was born, the lady who owned our house came to help take care of him. Four years later, when Ruth was born, Harry Peterson’s mother helped take care of her. (I remember Mrs. Peterson was a large woman), who was very nice and always brought a basket full of goodies. I recall she had a hearing problem. Farther down the road west were more houses. The railroad tracks crossed the road at the bottom of the hill. Near the tracks was a creek with a wooden bridge. There was a little grocery store located in this area where Signe worked until she was married. The Four Star mine where dad worked was near our house. It was owned by Art Blomgren. The men who worked down in the mines wore pit caps. 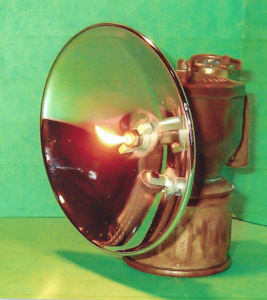 The light on the front of the cap was filled with carbide, which when mixed with the water, could be lit with a match. This made light for the miners in the dark mines. I believe dad worked on top of the ground most of the time. He weighed the cars on the large scale and helped unload them. Art Blomgren’s wife, Marie, worked in the mine office. I remember Ruth would go over and visit with Mrs. Blomgren. Nylander were her great grandparents as well. The Johnsons lived across the road from us. They had a daughter and five sons. We carried drinking water from their well because our water was not drinkable. I remember we got skim milk from them also. We kept the milk in our well to keep it cool. The milk was lowered into the well with a rope and pulley. I recall the well had boards around the top and a lid with a lock. The well was off limits to us kids because it was dangerous. I remember a “cigar” store just down the road west from our house. They sold food, candy, gum and a few other things. Harry Peterson, who Signe was dating, sometimes played the mandolin for us kids. He would give us money and we would run to buy jaw-breakers and other candy at the store. Since he didn’t have a car I don’t remember them going anywhere on their dates. My Great Grandpa Adolph "Fred"
I can clearly remember the ‘Monday man’… this was a gentleman who drove a team of horses and had a wagon loaded with things to sell. He came to our house every Monday and we would always run out to see what he had. I recall we always bought our school supplies from him. The community of Crickett was located north of the Schipper’s farm. Carl, Harold and I attended the school at Crikett for a short time. I can remember riding to school in a covered wagon. The wagon was pulled by horses and driven by Everett Smith. Ms Schippers was our teacher. I don’t think she was related to the Martin Schippers family. I still have a valentine she gave to me. All of our family, except Margaret and Signe, attend Bethel school. This school was located two miles east of where we lived, on the county line road. 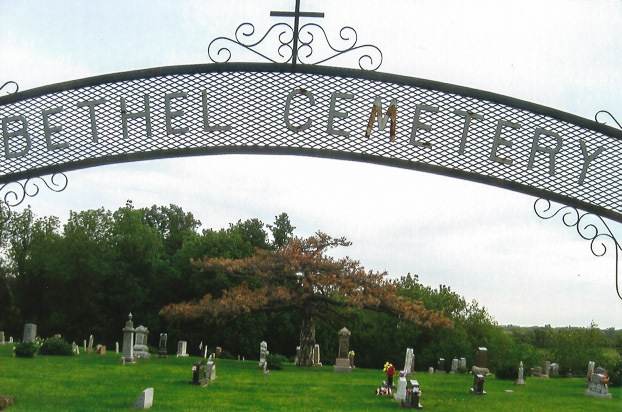 The Bethel church and cemetery is located across the road from the school. home was on the east side of the K road and faced west. article was printed in the Albia Newspaper. Carl was the ornery one in school. He had to stand in the corner and received spankings quite often. Letha Patton was our teacher and she was very strict. I remember we took our lunch to school in a syrup bucket. They were round and had a wire handle. Our sandwiches were made with homemade bread. We usually walked the two miles to Bethel school, even in the winter time. Marie and Art Blomgren Jr walked with us. Once in awhile their parents took them to school and picked the up. The Blomgren’s were very nice people and gave us a ride also. Eleanor Keegel and I were the only kids in our class. I still have the valentines given to me by schoolmates and teachers at Bethel and Crickett schools. 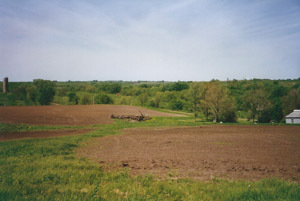 View looking west from top of Coopertown hill. 1990 photo. the north entrance to Buxton (102nd Lane and 340th street). 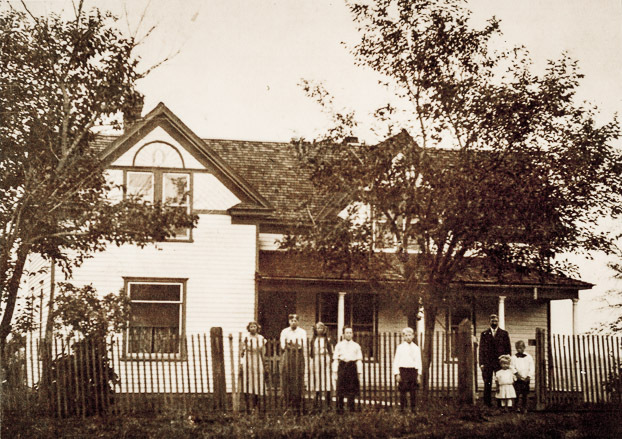 In the early 1930’s our family purchased a home which was located at the bottom of Cooper Hill. It had an extra acre so we had a big space for flower and vegetable gardens. There was shanty where the washing was done , a cave where we kept food cool, a chicken house for mom’s chickens and a large shed which had been the ice house for Buxton. This building was later used as a garage, and of course the house did not have indoor plumbing or electricity. This is the house which became known as “down home”. Our family celebrated the 4th of July by going to Bussy park. We always had lots of fun. I remember one year Joe Keegel bought Elsie a bottle of pop. I recall one 4th of July, it rained and rained. The water was up to the railroad tracks and over the road so we could not go that year. I continued to go to the 4th of July celebrations in Bussey even after I was married. A view of Coopertown looking west from East Swede Town. 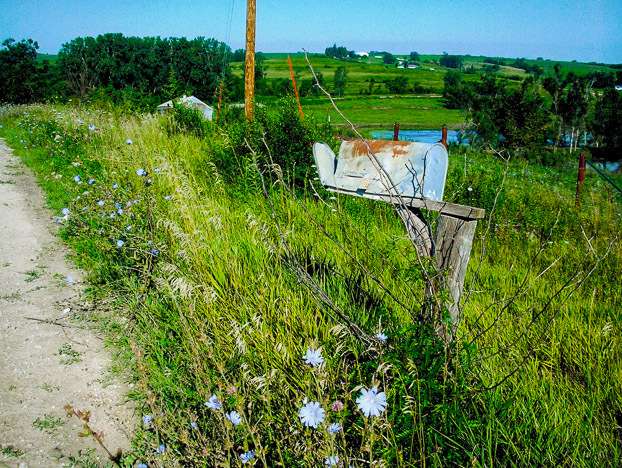 The road is the Mahaska/Monroe County line road. of Johnny Thomas during the Coal Dust Days. I can remember one Sunday, Signe and I walked south on the railroad tracks. We always had fun walking on the rails. We stopped to visit a black couple who lived along the tracks. This was a gentleman who sometimes stopped by our house while he was picking up the spilled coal along the tracks. We always invited him in for coffee. I remember his wife being blind. We walked as far south as Archie Allison’s place. I recall we stopped at the little store in Miami. After rest we walked east, past Art Sim’s home. Then, turned back north and headed for home. It was a fun day. Signe had asthma for a long time. She would cough and choke up, unable to get her breath. It seemed to always be worse at night. The only thing we could do for her was to put a yellow powder called sulphur in a dish and light it. She would inhale the fumes for relief. replaced oil wick lamps in coal mines in the early 1900’s. gave off considerable more light than oil wick lamps. caps and were no taller than 6-8 inches in height. When Signe was about nineteen (1929), she started dating Tobe Reed. I’m not sure how they met. They were married in October of 1930 in Oskaloosa. Margaret and Tobe’s brother, Leo, stood up for them. 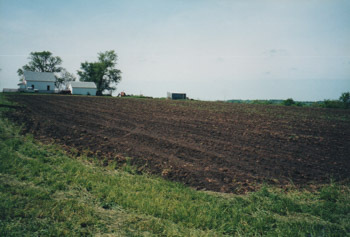 Tobe lived on John Moore’s farm west of Lovilla. He worked for Moores, helping them with the farming and milking. So this was their first home. There was some furnishings in the house but I remember them buying a buffet, table, and chairs from Miners store in Lovilia. In April of 1931, Robert Dale was born. Harold and I stayed at Reeds most of that summer. I can recall Tobe and Signe having smallpox but I cannot remember if the baby had smallpox or not. Harold and I went back home so we would not get sick. I will always remember the day Harold and I rode a horse from Reeds to “down home” and back in the same day. We got there in time to eat “corn on the cob” that Marge had cooked for dinner. On the way home, we stopped at a farmers water tank to let our horse drink. The kids in our family worked for lots of people in the area. Marge did a lot of housework for neighbors. Harold and I worked for a black neighbor named Jefferys. His wife was deceased so we sometimes spent the night. from working in the Richmond CA shipyards during WWII. I also worked for Pattons, who lived east of Bethel School. During the school year, I sometimes stayed with them. Cal and Elsie worked for Ott Hayes. They also worked for Ham Moores. Elsie did their house work and they would buy her nice dresses. I remember they had lots of cherry trees and let us pick cherries on shares. 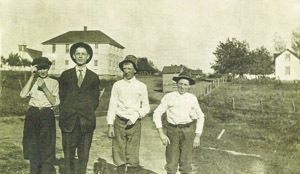 Moores lived north of the Lennart Larson farm. Mr Moore was a farmer with a lot of land and money. Mrs Moore was crippled and in a wheelchair. She was able to do the cooking and I can remember her cleaning chickens for dinner. They are both gone now and are buried at Bethel cemetery. There is a large stone on their grave. Their daughter, Mildred Jane, was a teacher in Ames, Iowa. She never married and gave money to kids through scholarships. 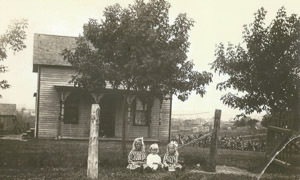 Robert and Mary Noll lived north of the Moore place. Harold worked for them. 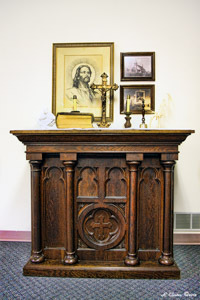 Their daughter married Roy Olson, whose parents lived south of the East Swede Town Lutheran church. Roy came to our house a lot and was a good friend of Carl and Harold. Later Roy and his wife moved to Moline, Ill. He is deceased and she is still living as far as I know. I remember helping Tobe and Signe move to the water’s place(located below Klobanks). On October 12, 1933 Raymiond Edward was born and David Leroy was born in December of 1934. They later moved to a house two miles farther north on the K-road. This is where Nellie was born on April 1, 1937. This house burnt and a house which Stella Ferguson owned was moved in it’s place. In June of 1938 I began working for a couple in Lovilia named the Miners. They operated a funeral parlor in the large home, they never seemed to do much business. They also owned and operated the Miners store in Lovilia. In the fall of 1938, Signe suffered a ruptured appendix followed by surgery by Dr Frank Bay of Albia. Her health was not improving so Elsie and I helped care for the four little children. Tobe’s sister, Vicky, spent time with them during the week days and Elsie and I took care of them on week-ends. When Signe became worse, Vicky came for me. Signe passed away on November 29. Her body was taken to Zimmerman’s in Lovilia and brought back to the house until the funeral. She was dressed in a pretty pink dress she was married in. We buried our sister, Signe, at the Eddyville cemetery. The little children were taken “down home” the day of the funeral. With my sister gone, I quit my job at Miners and went to take care of her children. Elsie also helped us care for them. Tobe was working at the sale barn at Albia, so he worked late many nights. He was very lucky to have two “Swede girls” to help him. I recall Bob and Ray started school at Pleasant point. This school was just north of their house on the Kk-road. Helen Beary was the teacher at that time. She later married Homer’s cousin, Orville Plum. He died at a young age and left her with several small children to raise. Later Elsie began dating Homer’s cousin, Donald Plum. It was Donald who introduced Homer to me. I remember Homer driving a black four seated 1928 Chevy coupe. We began seeing each other often and would go to the dances at Freaker Hall, which was located near Gardner’s on the K-road. I was married to Homer Stewart on September 8th, 1939 in Unionville, Missouri. Bertha Plum, Donald Plum, Jim Jones and Elsie stood up with us. Our neighbors and relatives had a wedding shower for us. I remember we received several pitcher and water glass sets. We still have several of the gifts we received at that shower. 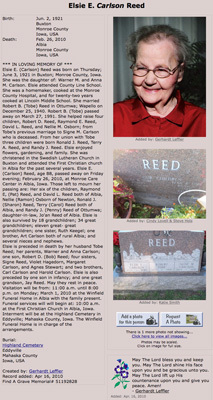 Later Elsie and Tobe Reed began dating. From the day I met Tobe, he called me “Ag”, and continued to do so the rest of his life. Elsie and Tobe were married in December of 1940 in Ottumwa, Iowa. They had a real nice wedding at the home of Tobe’s brother Henry’s. Margaret and Tobe’s other brother, Leo, stood up for them. Elsie and Tobe’s first baby was born prematurely and died. He is buried at the Eddyville cemetery. 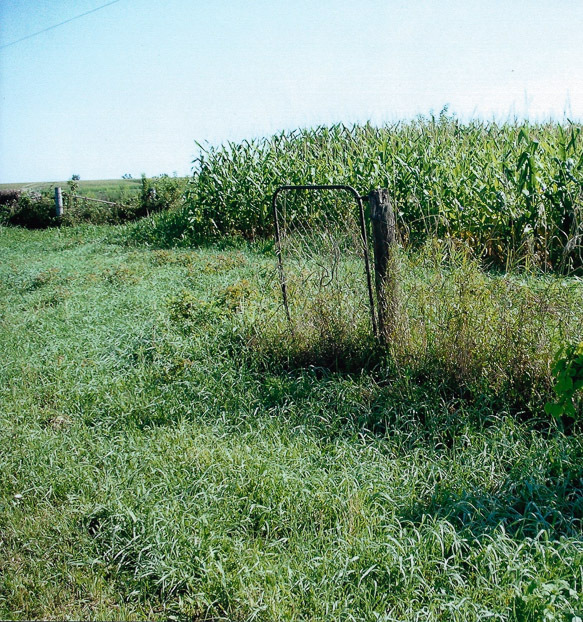 Reeds purchased a farm north of Albia on highway #137. On January 16, 1943 Ronald James was born. 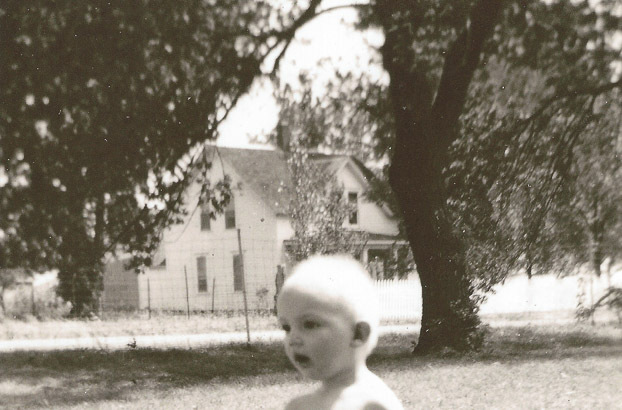 A few years later, Terry Allen and Randy Jo were born. Elsie worked at the Albia middle school cafeteria for many years. They lived on this farm until Tobe’s death in 1991. 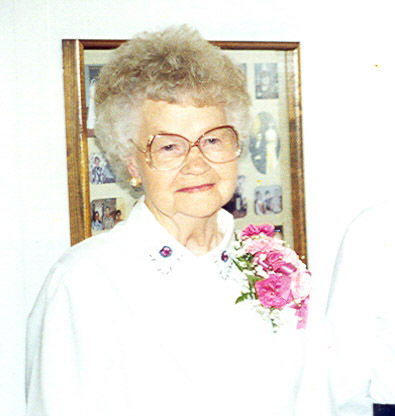 Later Elsie moved to Parkview apartments in Albia and currently is residing at the Monroe County Care Center. My brother, Carl, was a coal miner. He married Dana Neifert and they made their home in Bussey, Iowa. Dana worked in Des Moines for several years. Carl became disabled and later suffered the loss of his legs form diabetes. He passed away at the age of 72 in 1997. Dana passed away in 1986. They are both buried at Bethel cemetery. Carl and Dana had tow sons…Johnnie married Polly and they made their home in Bussey. Johnnie died of cancer during 1997. Their son Donnie is currently living in Oskaloosa. Harold married Jean Lomax of Bussey and was in the Army for several years. He spent some time in Germany and Italy. I have saved the old letters he wrote us during that time. 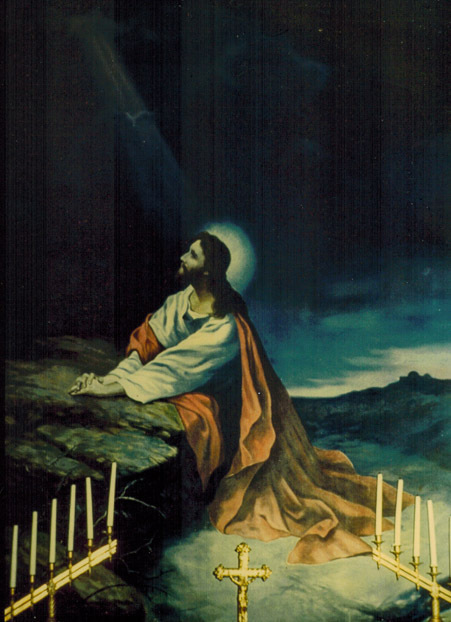 When he returned, he worked in the coal mines near Bussey. In 1962 he suffered a fatal heart attack while at work. He was 54 years old. His wife, Jean, passed away in 1995. 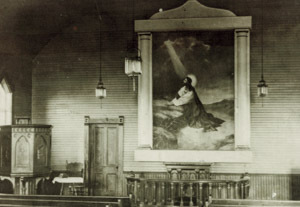 8' by 10' and destroyed in 1954 church fire. Their children are: David married to Paulette, lives in Bussey; Sharon married to Bob Vos, lives near Harvey: Linda married to Joe Covey, lives near Monroe; and Danny married to Cindy lives in Knoxville. Margaret never married and stated “down home” to care for our mother. I recall she has several boyfriends who came to visits. They brought her many gifts, usually jewelry. Marge, (as we called her), was a wonderful cook. She baked many delicious items and always had something baked for the family when we came to visit. Marge suffered from cancer and spent her last days at Tobe and Elsie’s home. She passed away in February of 1964 at age 53. Her body was returned to the Reed home until the funeral. She is buried at Bethel cemetery. My sister, Violet, left home and worked at Look Magazine in Des Moines. I remember her riding the bus form Bussey to Des Moines. She married Chuck Sinn who had two children, Linda is currently living in Arizona and Doug was killed in a car accident. Violet and Chuck were later divorced. With failing health, Vi (as we called her), moved to Arizona and lived with her step-daughter Linda. Violet passed away in 1995 from cancer at age 72. Her body was cremated, the location of her ashes is unknown. Art never married and stayed at home to provide for our mother and Marge. 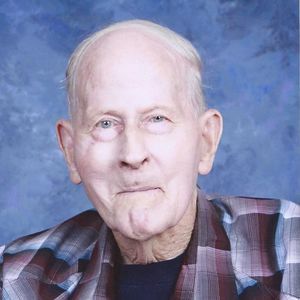 He retired from a manufacturing company in Albia. After retirement he repaired motors and lawn mowers. I remember Art was always our handyman and was always working on someone’s car. He continues to live “down home” without electricity, indoor plumbing or a telephone. 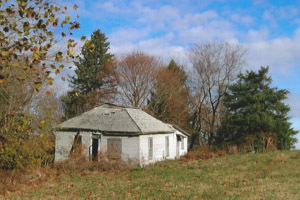 This home is one of the very few remaining houses in the Buxton area. Ruth, my youngest sister, married Case Keegel, who was raised near Bethel school. They farmed several miles north of “down home” on the K-road. Ruth is a homemaker and helped Case on the farm. They are retired and still reside on the farm. Case suffers with heart problems , but he continues to trail ride with his family. Ruth has had several hip and knee surgeries. and son of Agnes's sister Ruth. 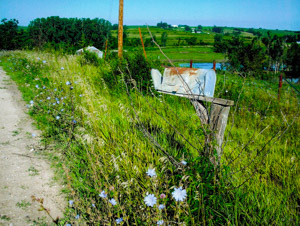 Ruth and Case’s children are: Jim and his wife Donna, live and farm in the Buxton-Miami area; Mike, a truck driver, lives in Oskaloosa; Warner and his wife Sharon, live in west Lovilia. Their daughter, Carol Ann, married Donnie Reed (Homer’s niece’s son), they reside with Ruth and Case. Signe and Tobe’s children are: Bob, married to Joan, resides in Albia. He is the owner of Reeed construction. Ray marries Pat Chedister and they also reside in Albia. Ray is semi-retired and works for Reed construction. David lives in Albia and is a semi-retired cattle buyer. Nellie married Ramon Osborn and they live in Newton, Iowa. Ramon is retired from Maytag and Nellie is a retired Avon representative. Elsie and Tobe have three sons and they are: Ronald is married to Sharon Madison and they live on the home place on Hwy #137. Ronnie farms and has a trucking business. Terry married Carol Smith and they reside three miles south of Albia. Terry is currently working as a carpenter. Randy is married to Penny and they live near Ottuwma. Randy is co-owner of an asphalt construction business. brother Art and sister Margaret. In January of 1943, my dad was injured at the coal mine in Attica. A large slab of slate fell on him. He suffered a broken leg and other serious injuries. Dr. Gutch of Albia cared for him at the Miner’s hospital in Albia. He passed away several days later at age 57. We buried dad at the Bethel cemetery. I have many memories of my dad who was a very tall thin man. He spoke english very well. I recall he usually got up early on Sunday morning and cooked breakfast. I can still hear him singing gospel songs as he prepared our breakfast. Dad had a good singing voice. He was a good provider and always worked hard. and is now located in the St. Paul Lutheran Church in Albia. My mother passed away in November of 1964…she spent a short time with Ruth and her family prior to her death. Mom is buried next to dad at Bethel cemetery. As with dad, we have many wonderful memories of mother. I don’t think she ever cut her hair. It reached down to her knees. Every morning I recall she would brush it and put it up in a bun. Mom spoke broken English and mixed Swedish words with English words when talking. I recall mom singing many Swedish songs. The coffee pot was always on “down home” and everyone was welcomed with a cup of coffee. Mom enjoyed that Swedish tradition and I recall she always loved tablecloths and linens. I remember my mother spent a lot of time outdoors. She raised a big vegetable garden and had many flower gardens. She loved to pick her flowers and bring them in the house. I can still see her tossing out grain and calling her chickens. Mom was always content to stay at home. She never rode in an automobile until late in life. She walked the short distances to visit neighbors, and had others do her shopping. I can remember mom always wore a full apron on top of her dress. In later years, I recall she pinned her billfold inside her dress pocket with a big safety pin. Mom carried all her money and important papers in that billfold. I have kept several of the aprons that she wore. above the Cooper Pharmacy. 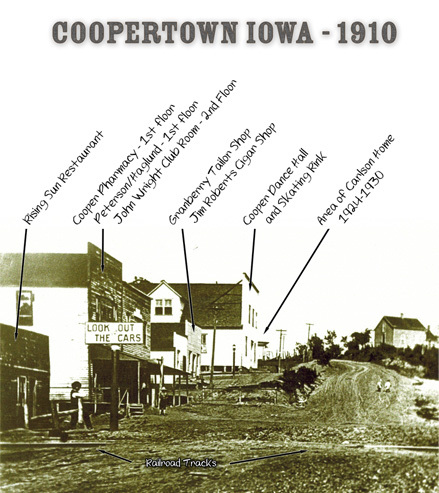 Coopertown in a recent photo. Road is the Monroe/Mahaska County line road looking east. 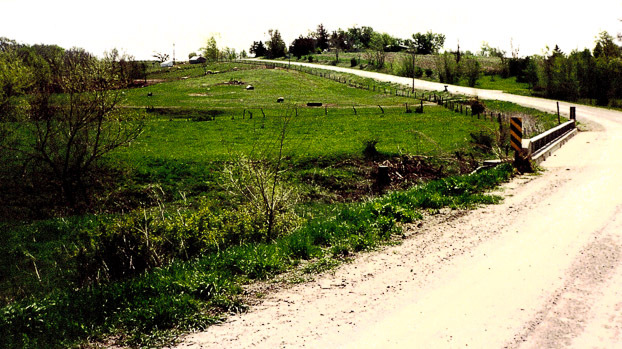 Monroe County is to the right of the road and Mahaska County is to the left in the photo. was born at the top of Coopertown Hill and died at the bottom of Coopertown Hill, 83 years later.